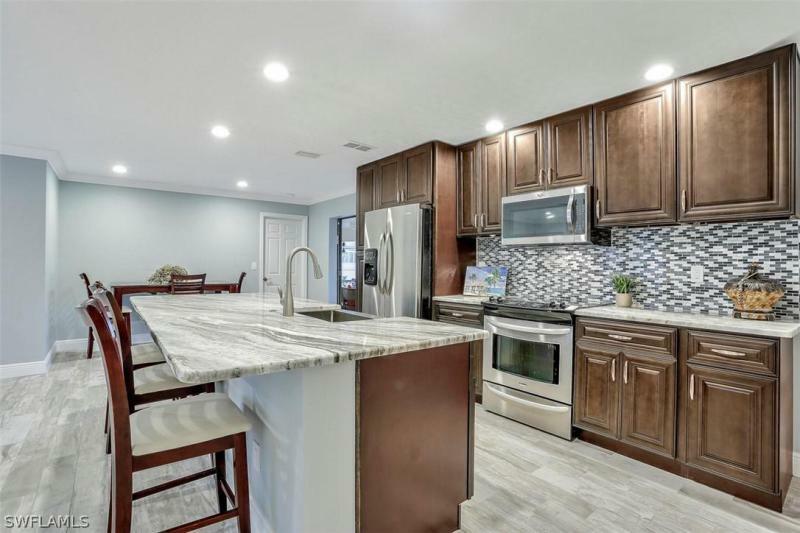 Completely remodeled home, kitchen is ideal for entertaining with huge counter top island, farm sink, shaker cabinets, new stainless steel appliances, glass top range, microwave, and glass tile backsplash. The wood grain floor tiles gives the home a modern feel. The vaulted ceilings give an airy and spacious feel and you will be amazed with how much extra storage the walk-in pantry and closets have. The master suite has been completely redesigned, shower has plenty of room with a pebble tile floor, seamless glass with waterfall tile and large master closet. You will love the view from the covered lanai complete with spa and roll down shutters. The boat dock and lift are ready for your boat on a sailboat access canal. Home is near tarpon point marina, dog park and rotary park an ideal location in sw cape coral. New pool is included in the price or a credit for the pool cost will be given at closing. 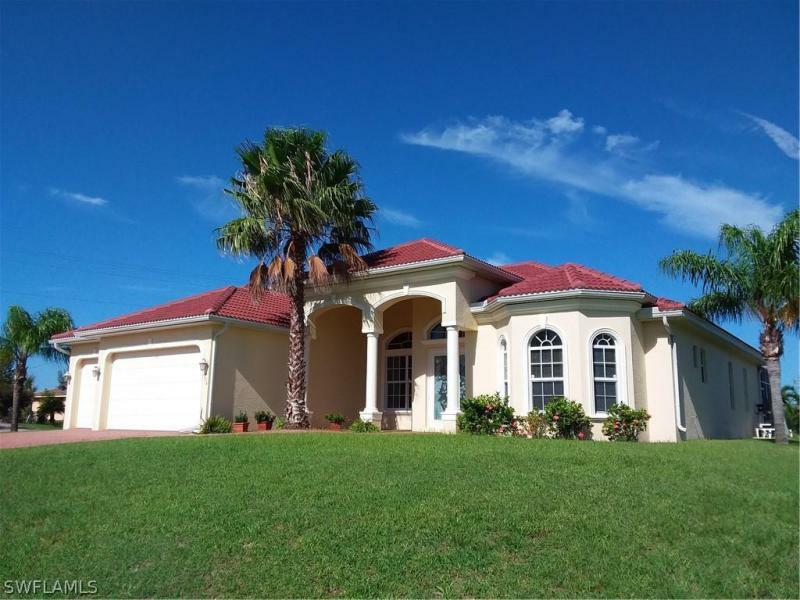 Experience the florida lifestyle with this magnificent spacious pool/spa home. Plenty of outdoor space for entertaining as you sip on your glass of wine watching our famous florida sunsets. Situated in the popular sw cape location, this meticulously well-maintained home is move-in ready. As you walk through the double door entry, this amazing home presents a living room with soaring 15 ceilings, formal dining room, family room, 3 bedrooms plus a den, 2 1/2 baths which includes an exterior pool bath! 3 car garage with paver driveway and tile roof. Upgrades galore, granite kitchen counters, tray ceilings, crown molding, 8 ft. Doors throughout and so much more. Close to fine dining, shops & schools. Cream puff home!! Just move in, location! Location! Brand new remodel, new roof 3/18, south facing gulf access 3/2 pool home, stunning home, this vaulted ceiling open split floor plan its finishes & the view will complete your search for a home, new plank tile floors throughout, new interior & exterior paint, new moldings, lighting fixtures, plumbing fixtures, 2 new baths, new beautiful level 3 granite soft close cherry kitchen with roll outs & glass doors, breakfast bar, stainless steel appliances & pantry, dining area, dinette area, inside laundry room, living room is wide open with vaulted ceilings, with two sliding glass doors leading out to your large screened pool lanai facing south, two additional nicely appointed guest bedrooms, one that has sliders out to the lanai, new tiled hall bath with tub, the master bedroom suite has a tray ceiling, sliders to the lanai, & a large walk in closet, bath offers luxury with a custom tiled frameless glass walk in shower, linen closet & a double high top granite vanity, auto sprinklers, new landscaping, assessments paid. Come and discover why sunset point gated community is a hidden away gem located in desirable southwest cape coral. This pool home has everything you need in a great open floor-plan, perfect for a family or as a vacation retreat. 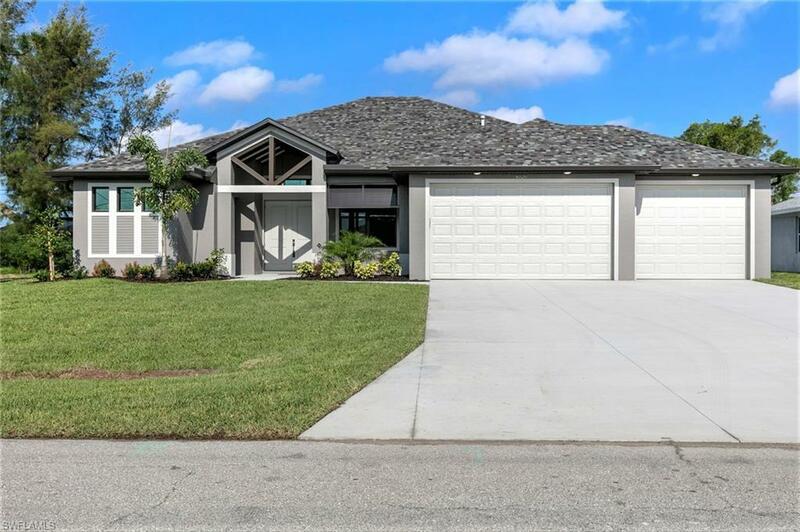 This community is close to shopping, schools and restaurants and also very easy access to fort myers. This house is set in manicured grounds in a small and private gated community with only 58 homes in total creating a beautiful and relaxing feel for peaceful living. This floor-plan incorporates great use of space with an open layout, high ceilings and modern kitchen with granite counter tops and plenty of cabinetry space. This 3 bedrooms, 2 baths house with a den which can be easily converted into your 4th bedroom and a 3 car garage, has plenty of space for you to entertain your family and friends. You will love to have your own private and screened pool with spa right in your backyard. The pool has a salt filtration system and it comes with plumbing and electric ready for you to install your own outdoor kitchen, if you desire to! This property is exactly what you are looking for! Call today and make an appointment to preview this beautiful home! Great opportunity - new construction pool home without the wait. Exceptional quality construction built home on a south west cape coral lot. Home will be complete by the end of april. Convenient location is just minutes from southwest cape coral's finest shopping and dining. This unique 3/2/3 + den, pelican floor plan home features corner 9 ft. Sliders in the main great room that open to an over-sized under cover lanai and pool area. Dining area also has sliders that open into the large screened in pool area. 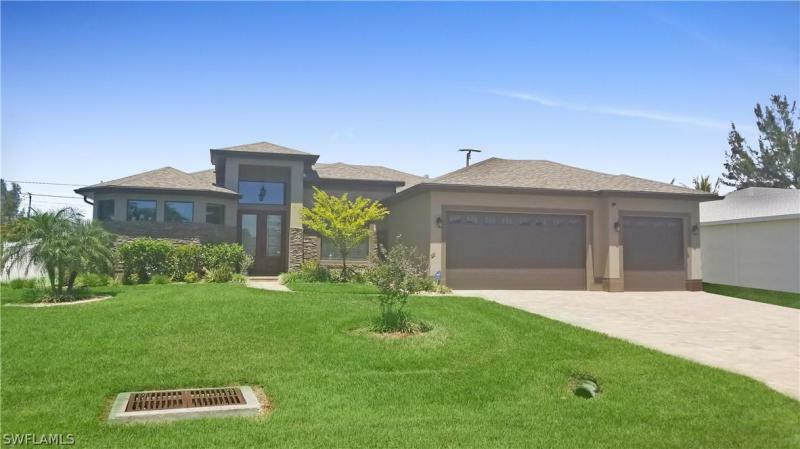 Convenient features include high quality pgt impact windows and sliders, large kitchen island, wine cooler, upgraded granite counter tops, walk in pantry, laundry room with sink, double sinks in bathroom #2 that also doubles as a pool bath, 3 car garage. This custom pool home features popular designer details such as 48 plank tile flooring, lush landscaping, premium paint inside and outside. Irrigation system. This home has a great layout with high quality finishes in a very nice area. The benchmark of perfection. City water & sewer. Come make a splash in your very own pool home! This impeccably maintained home offers the popular great room floor plan. The living room, dining room, family room and kitchen all adjoin allowing for easy entertaining. The great room opens to the spacious lanai offering a lovely pool, cascading fountain, outdoor shower, and large area under truss. The home offers three bedrooms, a den, pool bath, inside utility room, and pantry. The master bedroom is spacious and offers a separate seating area. The master bath offers a garden tub with walk in shower. This home is situated on a lovely home site offering lush vegetation and landscape. Why build when you can move into this lovely home? Located within close proximity to shopping, dining and the cape harbour marina. Well maintained partially furnished pool home on corner lot. This home has an open floor plan with french doors opening to pool area. Spacious master bedroom with 2 walk in closets. Master bath has separate sink vanities, beautiful walk thru shower, and a large soaking tub. One of the guest bedrooms can be used as 2nd master, located opposite side of home with its own bathroom & pool access. Sit at the breakfast bar for a quick lunch or enjoy dinner in the formal dining area off of kitchen. House built in 2016, so appliances, air conditioner, hot water heater etc are all around 3 yrs old. This home has fenced in yard perfect for fur babies, and a 3 car garage for all your cars or extra storage. Home being sold mostly furnished including 2 refrigerators and new living room furniture. Seller is downsizing. Make your offer!! This beautifully remodeled south west pool home with fenced yard is picture perfect. A double door entry leads into the spacious living/dining area with custom travertine flooring throughout all common areas, both bathrooms, & laundry room. The living/dining area has vaulted ceiling & triple pocket sliders leading to the large under-truss lanai, pool, & outdoor kitchen with all new high end appliances. The inside kitchen has been redesigned for function & style with custom cabinetry, granite counters, & stainless appliances. A large breakfast bar overlooks the morning & family room. The master bedroom has 2 california style closets. Double pocket sliders lead to the lanai. The en suite' has a double sink vanity, granite counter, walk-in shower, private water closet & linen closet. Both guest rooms have mirrored closets and are conveniently located close to a new guest bath. In addition, this home has a large bonus room that can be used as a 4th bedroom, office, or family suite. French doors from the bonus room lead to the lanai and free form pool, paver deck, & outdoor kitchen. Newly painted inside and out with many extras, this is a must see! Schedule your private showing today! Assessments in and paid! This 1710 sq ft. Gulf access pool home features 3 bedrooms and 2 bath with tile roof, semi circular stamped driveway located on a gulf access canal. What sets this house apart is the courtyard solar heated pool, which offers complete privacy. Park your boat on your dock with electric hoist after a day out on the gulf fishing or at the beaches. The u shaped design of the house offers doors and windows looking into the pool from the master, living, kitchen, dining, and 3rd bedroom. The master bedroom has a large, walk in closet as well as a doorless walk in shower. This home was extensively renovated, including granite counters and backsplash in the kitchen and new tile throughout the house. 8 foot doors and 10 ft. Ceilings give the home and large open feel. The home also includes a remote control kevlar mesh hurricane screen on the sliders with impact doors. New wood boat dock w/ canopy recently installed featuring an electric boat lift and brand new windows in the entire home. Located within minutes of shopping and dining in sw cape coral. 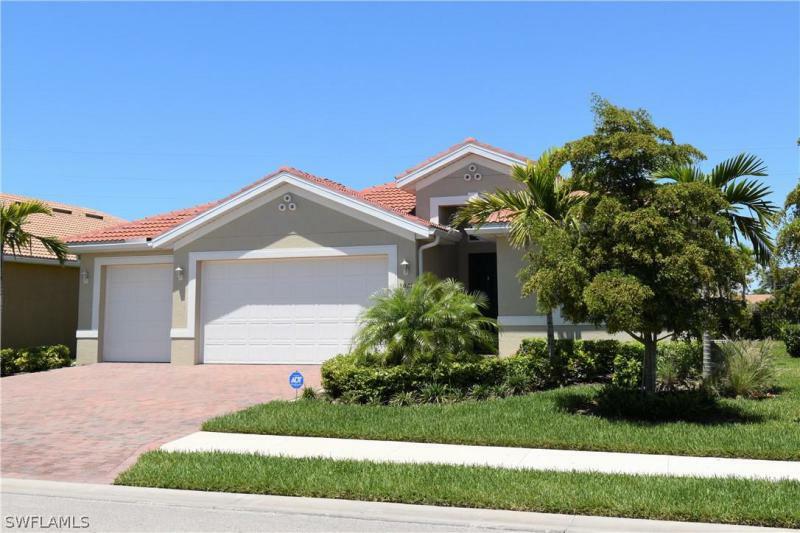 If you are looking for a gulf access, move in ready pool home in cape coral this is it. Schedule your showing today!